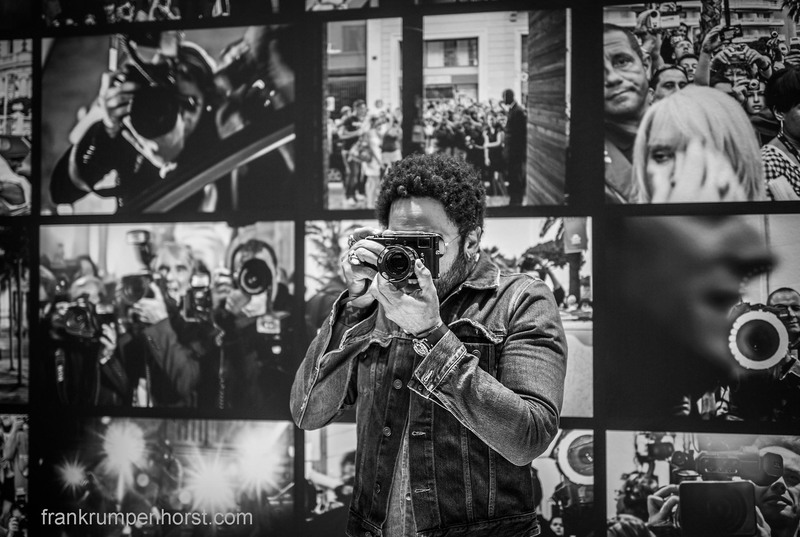 Lenny Kravitz, the singer, songwriter, multi-instrumentalist, record producer, actor, arranger and photographer, takes pictures of the crowd during the opening of his exhibition that features photos published in his book “Flash,” at the headquarters of German camera manufacturer Leica in Wetzlar, some 60 kms (36 mls) north of Frankfurt, June 23. This entry was posted in 1.4 50mm art, Fotografie, germany, leica, MUSIC, Photo, Photography and tagged b-w, black and white, camera, foto, galerie, gallery, leica, lenny kravitz, music, photo, rock music, singer, wetzlar. Bookmark the permalink. Reblogged this on escape indie.